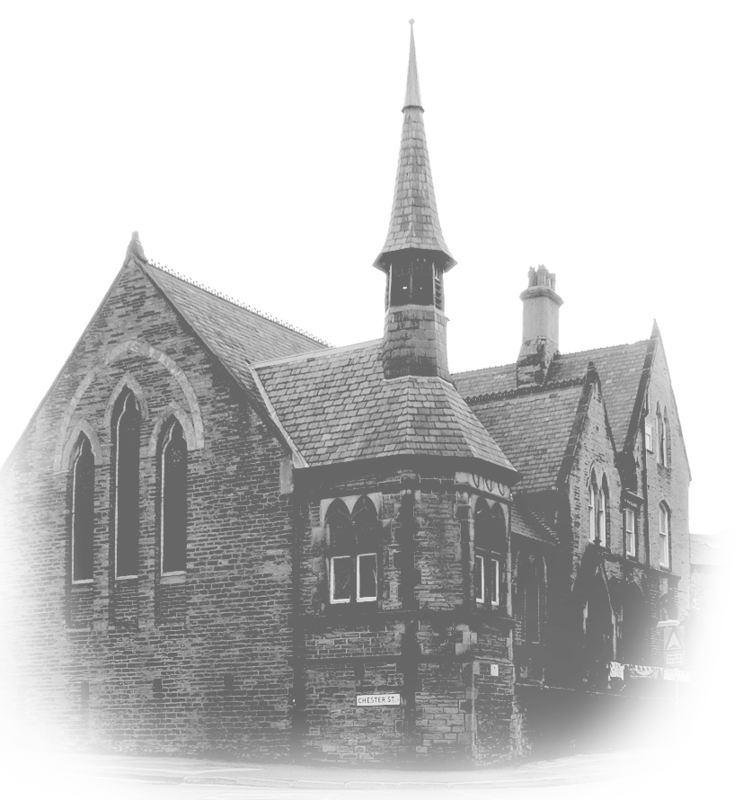 On Sunday 2 August Pastor Nobbe at the German Church on Little Horton Lane described the sun of peace vanishing and a black cloud of war hanging over his congregation, many of whom were in tears. ‘Ein feste burg’ was sung but within days the church was closed and a party of 30 young men had left Midland Station to join the German Army. 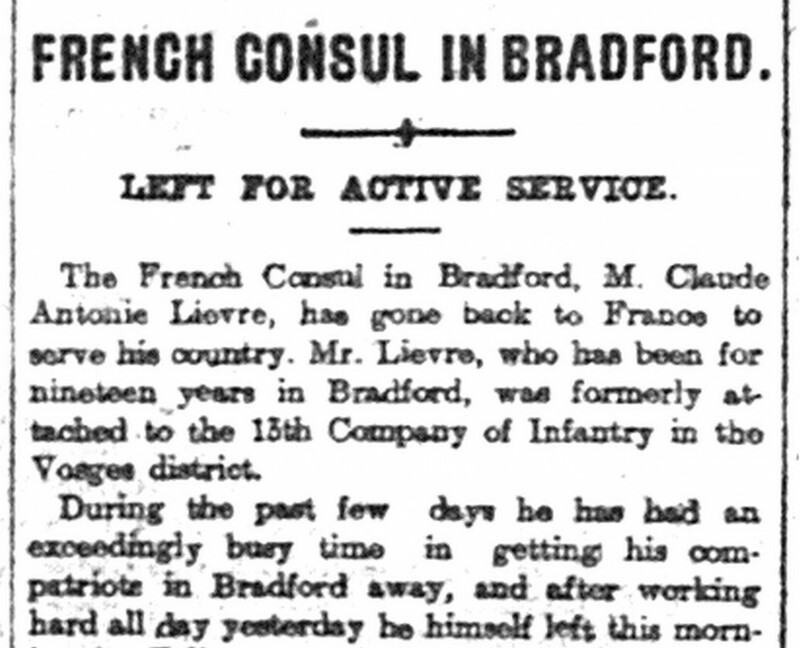 The Bradford Daily Telegraph reminded its readers, “Amongst them were the friends of many of us and more touching still were the wives and sweethearts, weeping sadly at this cruel parting”. German church on Little Horton Lane, Bradford. A few more Germans, twenty Austrians, a few French and two Belgian refugee conscripts also departed. “Their friends here are their friends still in every private and personal significance,” claimed the newspaper Editor. The paper also described the sudden shortage of hotel chefs and waiters, and the French barber’s shop in Morley Street closed down hurriedly as the man rushed home to France. 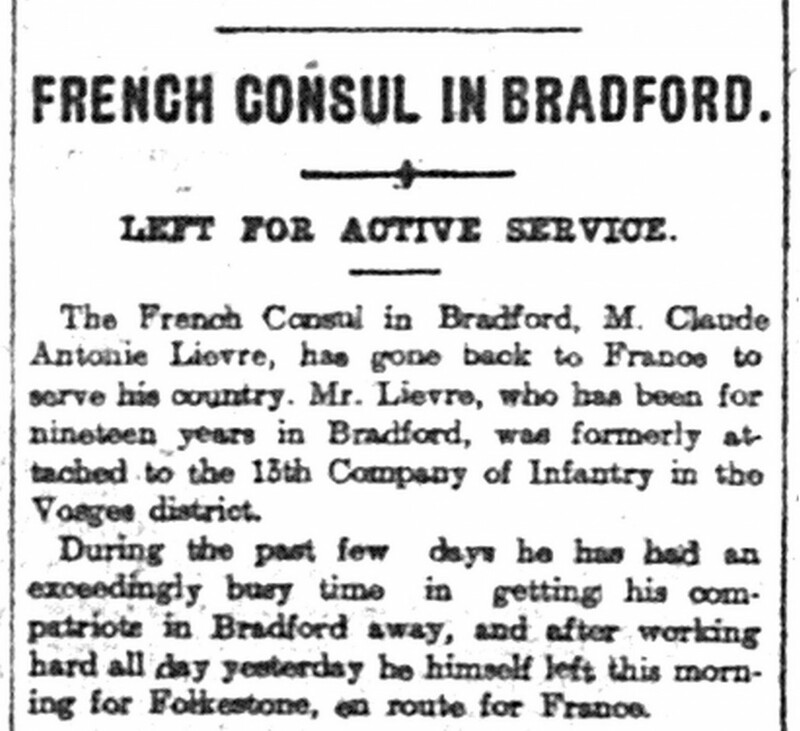 Claude Antoine Lievre, for 19 years proprietor of the Berlitz Language School, left his post as French Consul. He had previously served with the 13th Infantry Company in the Vosges. The interests of remaining German residents were placed in the hands of the American Consul, Mr Augustus E Ingram in Swan Arcade. 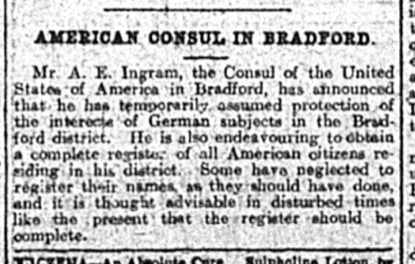 Many ‘German’ residents in the city felt their loyalties lay with Bradford. 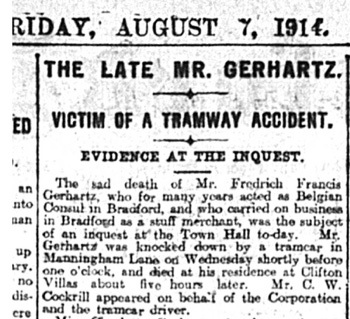 Bruno and Rosa Gellert’s son was already signed up with the Bradford Territorials and Henry Gerhartz, son of the German-born Belgian Consul, changed his name to Gresham and served with the ASC (motor transport) until discharged with TB. 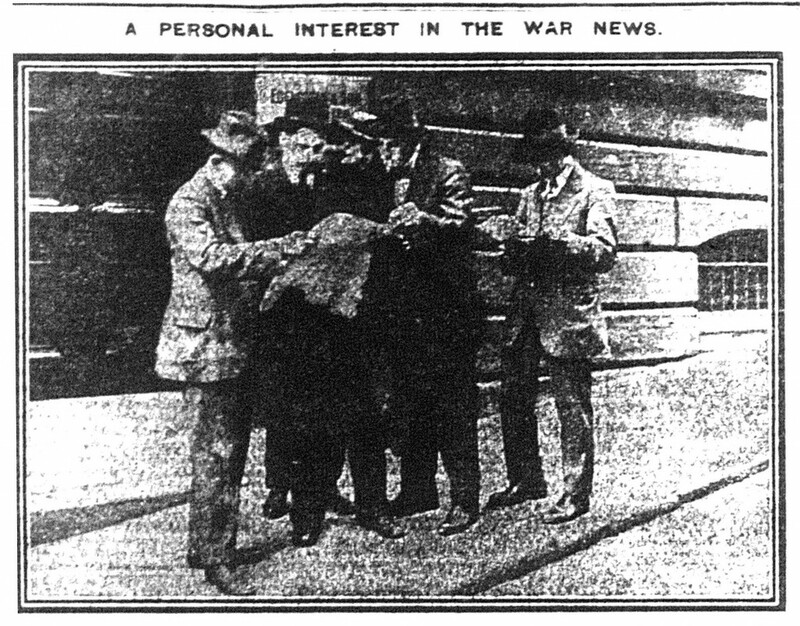 A group of Germans eagerly scanning the news in a ‘Telegraph’ Special Edition near the German Consulate in Leeds Road on Saturday after receiving information that they had to join their regiments. Adolphus Julius Edelstein, son of one of the richest wool merchants in Bradford, changed his name to Elston and served as a Staff Officer with the Royal Field Artillery. Similarly, Paul Cuthbert Steinthal became Major PC Petrie and remained in command of the Ilkley Artillery for the whole of the war, firing the last shots of D245 Battery on 11 November 1918. When the registration of Aliens began on 7 August an estimated 300 of the 500 German residents came forward. William Sonnenberg, the licensee of the Ebor Hotel off Little Horton Lane, was fined 20/- with 7/- costs on 9 September for failing to register. William was soon to leave his Bradford-born wife and return to Germany where he died at the Eberswalde Sanatorium in June 1917. Two Bradford-born widows with German-sounding names were similarly fined but one quickly remarried and reclaimed her rights to carry a camera, use the telephone and a motor car: “Civis Britannicus sum!” concluded the newspaper. 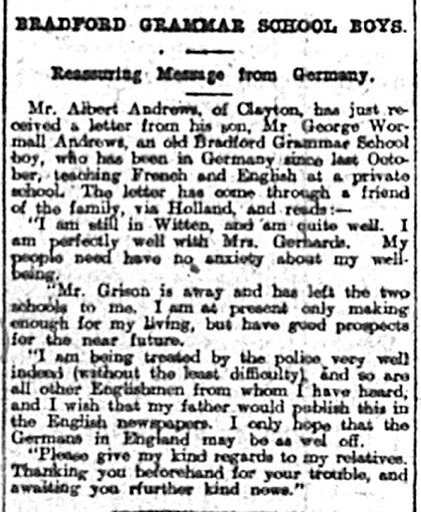 George W Andrews, an ex Bradford Grammar School pupil, was teaching at Witten in Germany. 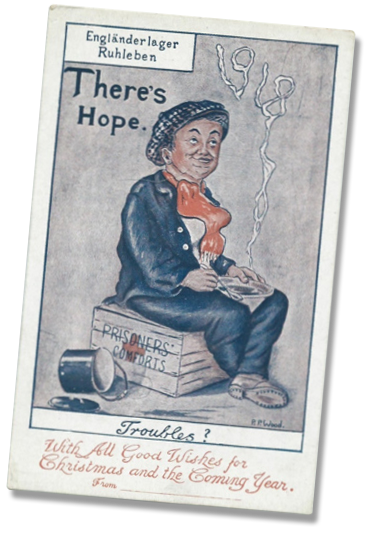 He told his father all was well and he was on good terms with the German police but George was soon to be interned and spent the war at Ruhleben with 5,500 other internees. This enormous camp on the Berlin racecourse was later to become Spandau Prison.